An impressive march of horses! 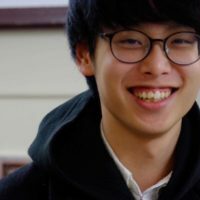 Morioka & Takizawa City – Yahaba Town, Iwate Pref. This festival features approximately 100 horses dressed up in all colors imaginable, parading through the towns. 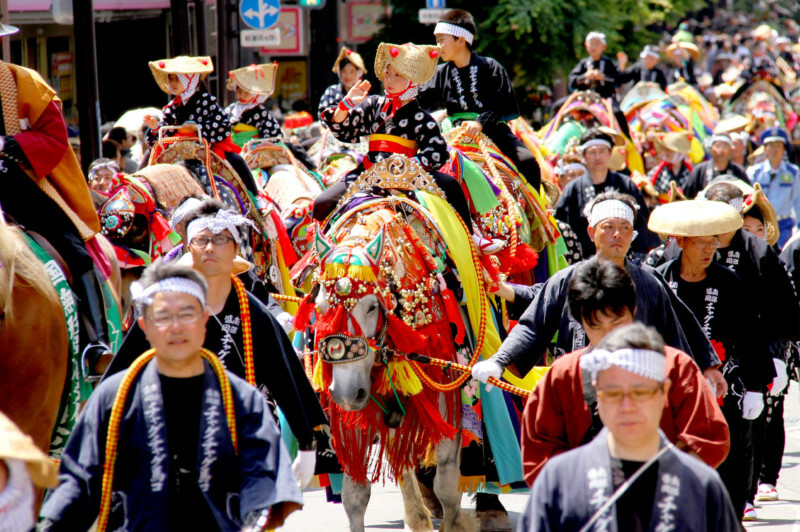 The horses march a 13km route from Onikoshi Sozen Shrine to Morioka Hachimangu Shrine taking 4 hours. 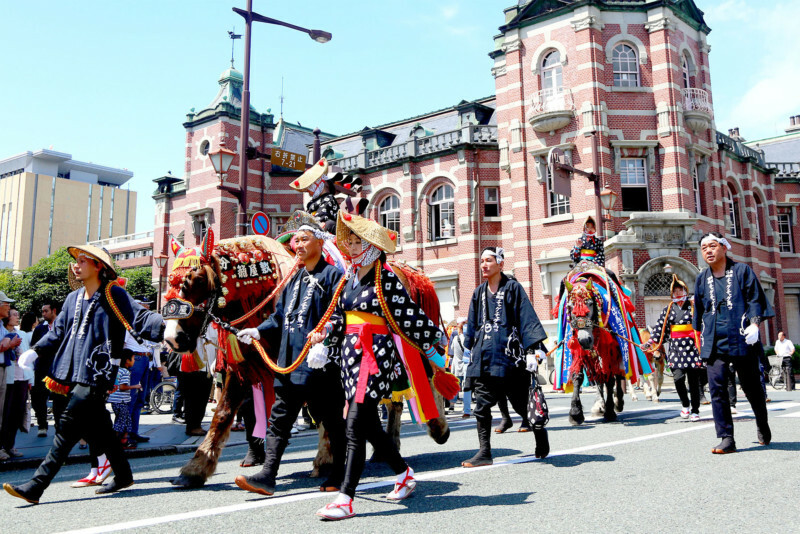 One hour before the horses reach Morioka city’s main street, marching bands, dancers and baton twirlers parade. The horses follow. “Chagu chagu” is an onomatopoeia describing the sounds of the bells. They ring “chagu chagu” each time the horses takes a stride, and that’s where the festival gets its name. Furthermore, horses are called by their nickname “Umakko” in the area of Morioka. 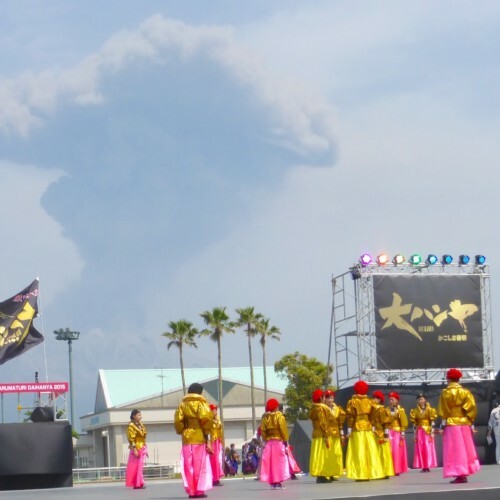 This is truly a festival unique to the region, traditionally famous for its horses. Come see the horse parade you won’t see anywhere else! 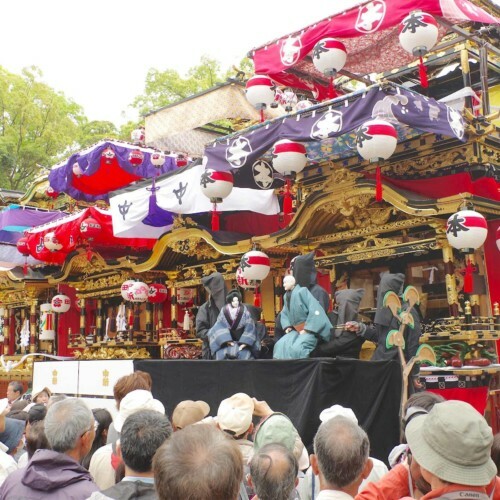 The significance of this festival definitely is the Umakko’s colorful costumes and its bells ringing out through the towns. From the old days, the costumes are each hand-made with extreme care. 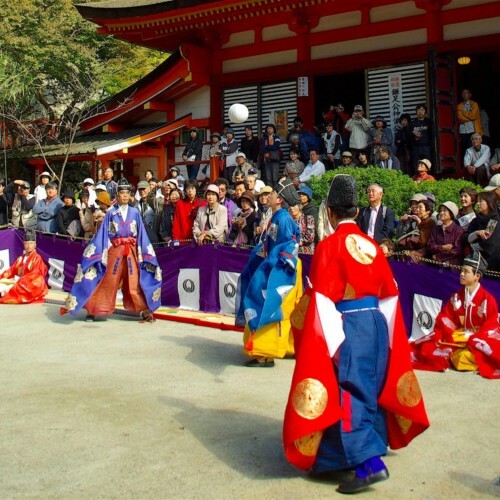 It is said that each costume contains 700 bells, weighing approximately 60kg as a whole. 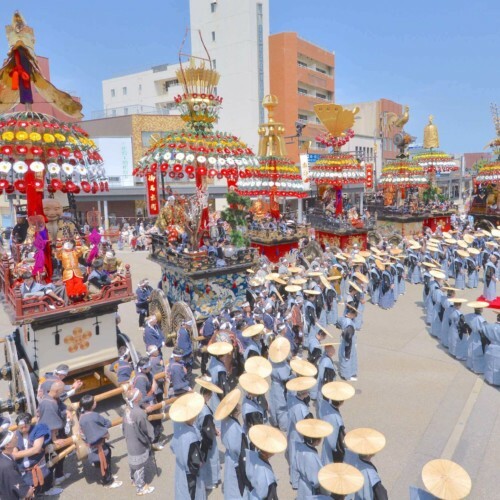 The bells overpower the city’s noise, and the 100 Umakko parade is an impressive sight to see. 2. Mingle with the Umakko! 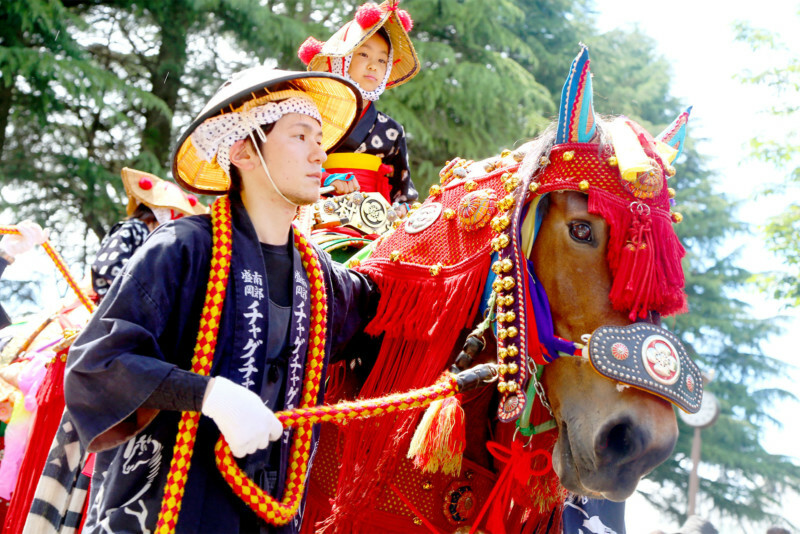 You can mingle with the horse at two rest points designated along the parade course, at Nakatsu Riverbank and at Morioka Hachimangu shrine, after they have completed the march. Don’t forget to pay attention to the carefully decorated costumes as well. If you brought carrots, you may feed the Umakko too! Give them a treat for completing the march! However, the Umakko are very sensitive. So please don’t stand behind them, make loud sounds, or use flash on your camera. 3. Don’t forget your souvenirs! There are many original souvenirs for Chagu-chagu Umakko. 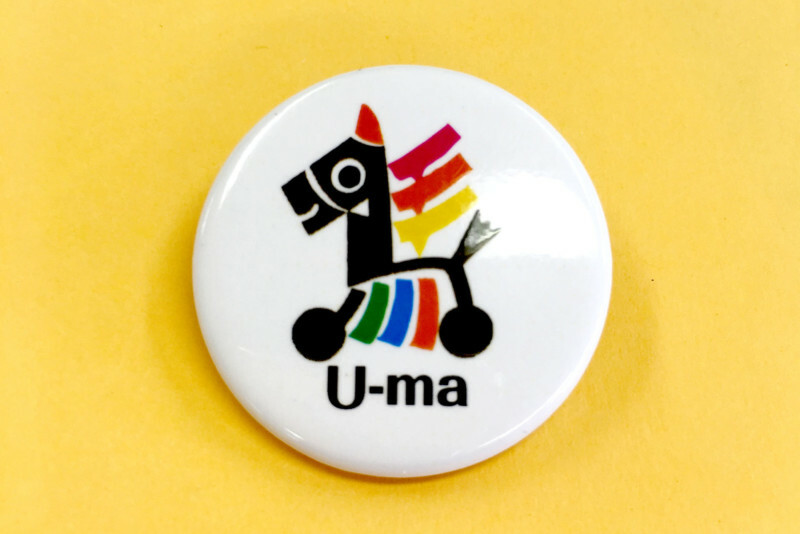 One of them—this cute pin badge—is designed adapting the kanji character for “Uma” (horse). You are able to purchase it at Plaza Odette along the parade course. Furthermore, Chagu-chagu Umakko dolls are each hand-made, and is a popular lucky charm. They are cutely costumed just like the real Umakko with bells that ring. There are other items such as towels and T-shirts as well. Make them your festival memorabilia! 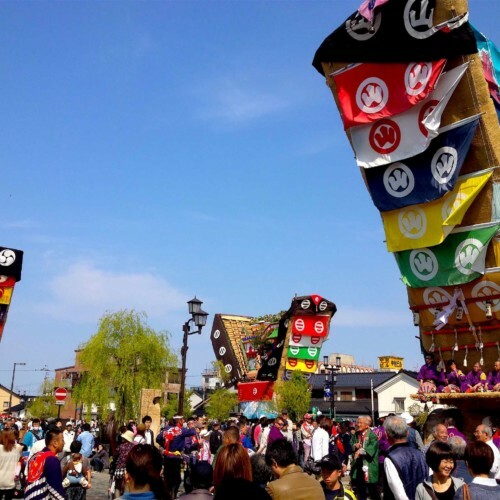 However, participants are able to mingle with the Umakko (horse) at two locations during the march, and after at Nakatsu river and Morioka Hachimangu Shrine. The vehicle at the very front of the march will have announcements in English. Wi-Fi Available at shops with access points along the parade course. Restrooms Available at Onikoshi Sozen Shrine, two locations along the parade course (Aoyamacho central shopping street & Zaimokucho shoping street) and on Nakatsu riverbank. Horses are sensitive animals. Do not scare them.